NASA's Mars Exploration Rover Opportunity entered Victoria Crater during the rover's 1,291st Martian day, or sol, (Sept. 11, 2007). 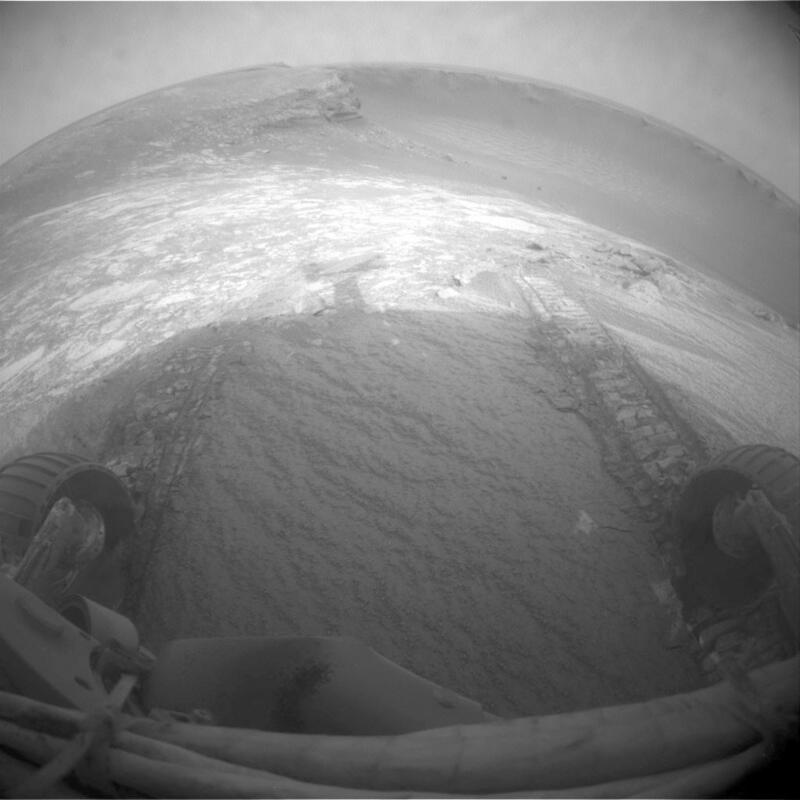 The rover team commanded Opportunity to drive just far enough into the crater to get all six wheels onto the inner slope, and then to back out again and assess how much the wheels slipped on the slope. The driving commands for the day included a precaution for the rover to stop driving if the wheels were slipping more than 40 percent. 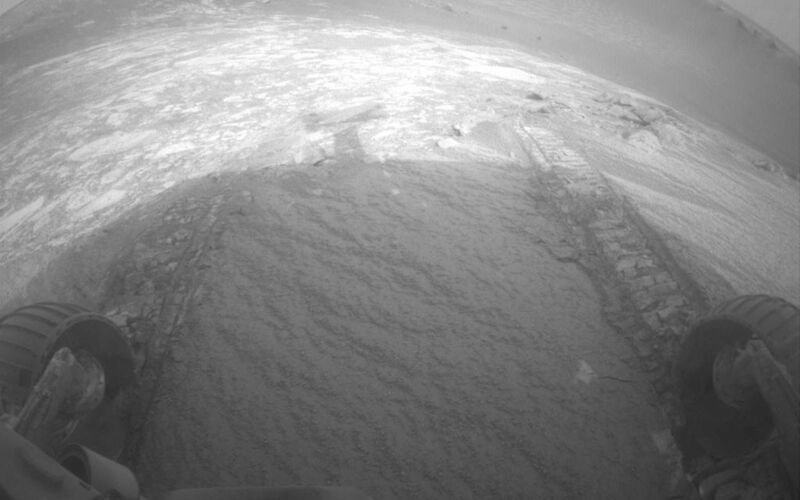 Slippage exceeded that amount on the last step of the drive, so Opportunity stopped with its front pair of wheels still inside the crater. 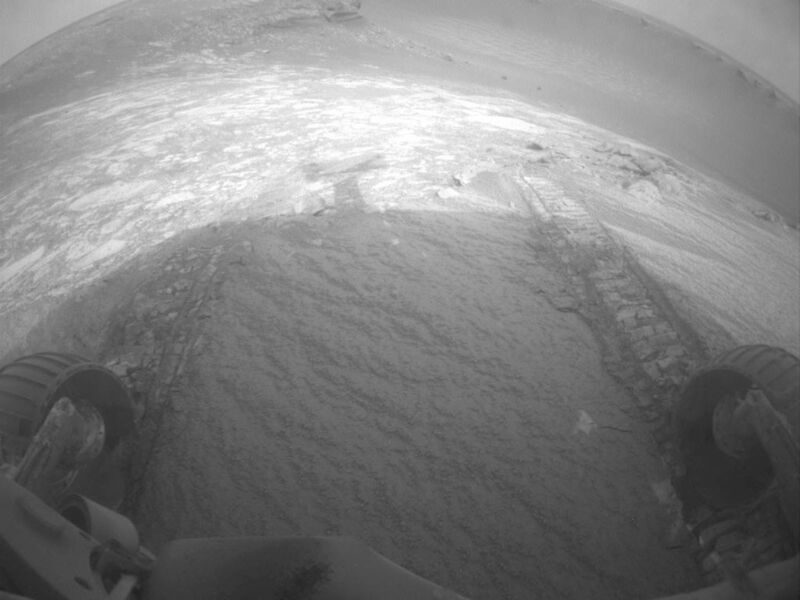 The rover team planned to assess results of the drive, then start Opportunity on an extended exploration inside the crater. 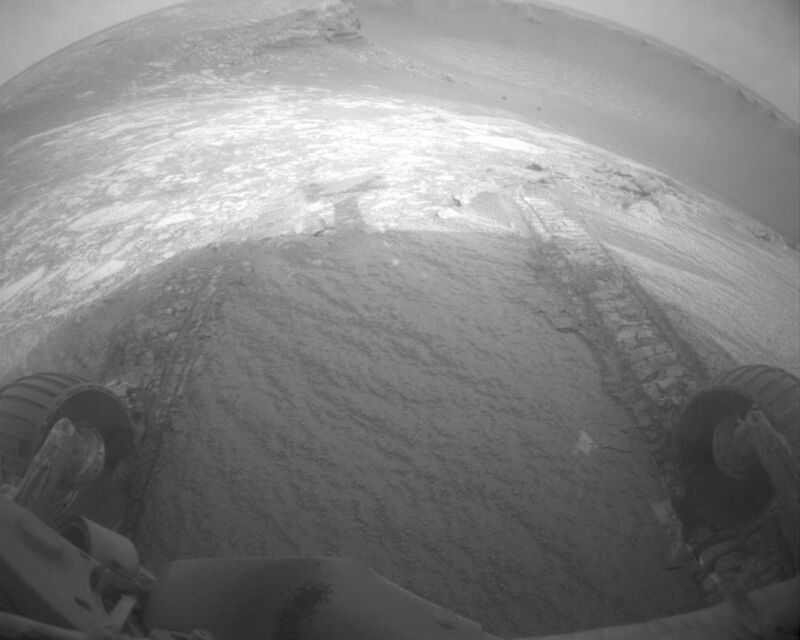 This wide-angle view taken by Opportunity's front hazard-identification camera at the end of the day's driving shows the wheel tracks created by the short dip into the crater. The left half of the image looks across an alcove informally named "Duck Bay" toward a promontory called "Cape Verde" clockwise around the crater wall. The right half of the image looks across the main body of the crater, which is 800 meters (half a mile) in diameter.